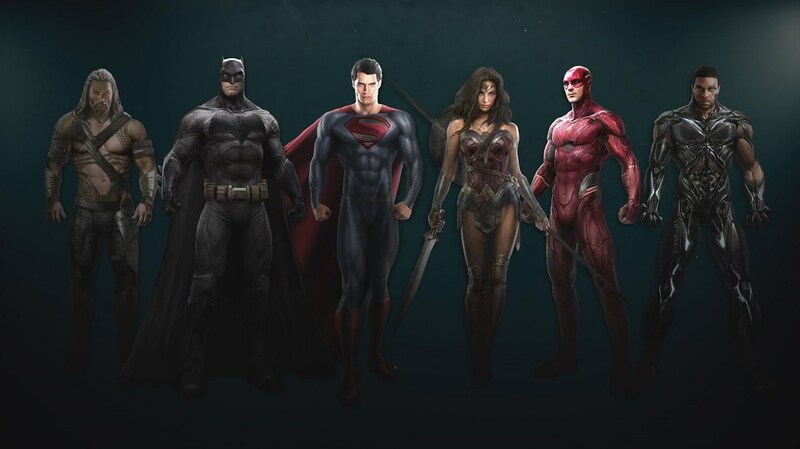 Obviously Zack Snyder’s Justice League movie was not going to feature Nuklon or Triumph or Crimson Fox. But Snyder’s team, at least initially, only features six members; Green Lantern and Martian Manhunter are out, and Cyborg (Ray Fisher) is in. So I guess we’ve got to come up with a new term for this core DC group. I’ve got it! “Big Hero 6!” Wait, no. That’s not going to work. Ben Affleck’s Batman, Henry Cavill’s Superman, and Gal Gadot’s Wonder Woman are no surprises, and if you saw the BvS action figure of Jason Momoa as Aquaman, he shouldn’t be either. Ezra Miller’s Flash doesn’t look a whole lot like the guy who made a brief cameo in Batman v Superman (not shockingly; his costume there looked cobbled together as a placeholder for a suit that hadn’t been full designed yet). 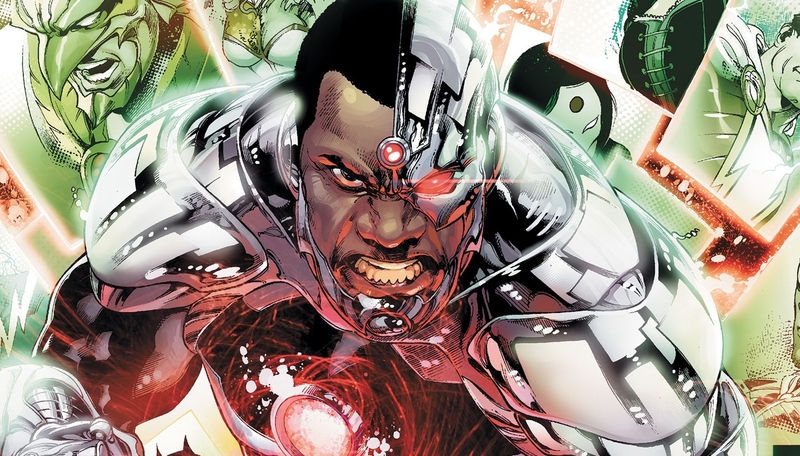 Fischer’s Cyborg is probably the furthest from his comic-book counterpart, who’s typically silver and has a very distinctive metal plate covering the left side of his face. I was one of the folks left disappointed by Batman v Superman, but I hope things get straightened out for Justice League. As a kid, Grant Morrison and Howard Porter’s JLA was one of my absolute favorite books. I read their first storyline over and over again. I hope the movie captures some of that flavor so we can get a Big Seven movie with Martian Manhunter and Green Lantern (or a Big Eight, with Cyborg in there too). Justice League opens on November 17, 2017.